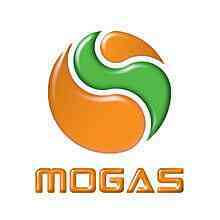 MOGAS is a leading integrated downstream oil marketing company in East & Central Africa, with business operations spanning from International oil trading to marine and inland terminals, retail networks and lubricant services. MOGAS operations stretch from Uganda, Tanzania, Rwanda, Burundi, Kenya, and the Democratic Republic of Congo and beyond. MOGAS Tanzania Limited is now seeking to recruit suitably qualified and competent candidates, to fill the following vacant positions. The duty station will be in Tanga, Tanzania. The said positions are expected to start as soon as possible. Bachelor of Science in Chemistry or Laboratory Technology. Plans direct activities of chemical laboratory for the plant. Ensure lubricant batches blended meet set specifications achieved through adherence to formulations ensuring analysis and testing of samples. Coordinates activities to ensure compliance to ISO, OSHA, TBS, and applicable local/international requirements. Reviews testing, quality control, and other operational reports to make sure that quality standards are met. Interprets results of laboratory activities to management and prepares reports. Prepare laboratory budgets to ensure the adequate running of the lab. Coordinate studies/ research for lubricant mixing processes. Coordinates proficiency testing with other laboratories. Coordinates recording keeping activities in the laboratory. Maintains laboratory equipment in good working conditions through routine calibration and verification programs. Issuing of Work Orders to specific technicians to conduct planned maintenance activities as per schedule. Ensures Root cause analyses are carried out on breakdowns. Support development of standard engineering practices and ensures implementation. Review maintenance KPI’s and take corrective action where/when necessary. Review Technicians performance, coach and mentor technicians. Conduct a Capability gap analysis to determine both current and future development needs for technicians in the engineering department. Ensure health and safety requirements are met and comply with OSHA and other applicable requirements. Manages tools as per tool policy guidelines.